The US Federal Bureau of Investigation has reopened a probe into the use of a private email server by former US Secretary of State Hillary Clinton. Former US diplomat and Republican Senate foreign policy adviser Jim Jatras told Radio Sputnik how the new investigation could affect Hillary Clinton’s presidential campaign. “At this point we don’t know what these emails are. Are they the ones which are already in the possession of the FBI? Is there any classified material on them? I think one of the questions which people are asking is why this was revealed only now, only eleven days before the election,” Jatras said. Talking about what effect this might have on the presidential election, the adviser said that many people — about 10 to 15% — have already voted so for those who have voted maybe if they knew this earlier they wouldn’t have voted for her. “It could have an impact. It could have an impact in depressing her turnout as we know Trump has a lot more enthusiasm in his base than she does,” Jatras said. He further said, “There are many who are voting for her because they don’t like Trump, not because they are thrilled with her. But Trump does have a very enthusiastic and active base that we know will turn out,” the adviser pointed out. As far as considering if something concrete will come out before the elections, the adviser said that there are only a few days till the election so if more information comes out after she is already elected with evidence of criminality on her part, then no one will really know what to do with that because it would be completely unprecedented. 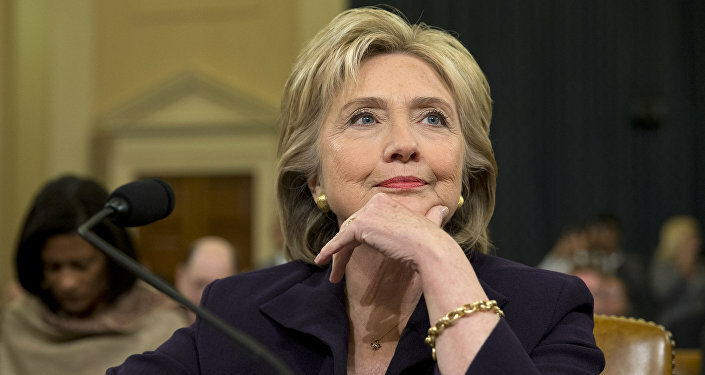 He also added that the FBI would review the new emails to determine if they contain classified information. The news comes amid the Wikileaks' releases of US Democratic presidential nominee Hillary Clinton’s campaign chairman John Podesta's leaked emails shedding light on the campaign's activity, including coordinated efforts with the US DoS concerning a plan on the coverage of the email scandal. Director Comey previously said that Clinton’s use of a home-based email server for official business as the United States’ top diplomat was "extremely careless," but he did not recommend criminal charges against her. Clinton had erased 33,000 of her emails after receiving a subpoena to submit them, while her closest associates destroyed at least 13 blackberrys and related devices used to communicate.